I am from a tiny village in the north of England, called Garthorpe, on the border of Yorkshire and Lincolnshire. Was art a part of your childhood? Since I can remember, art has always been a massive part of my life. The first image I remember doing was a diagram of an episode of Knight Rider, when I was about 5 or 6. What are your favorite children’s books now? I have so many it is difficult to decide — probably one by Shaun Tan, The Lost Thing; it’s very nice. Also, Jon Klassen’s I Want My Hat Back. 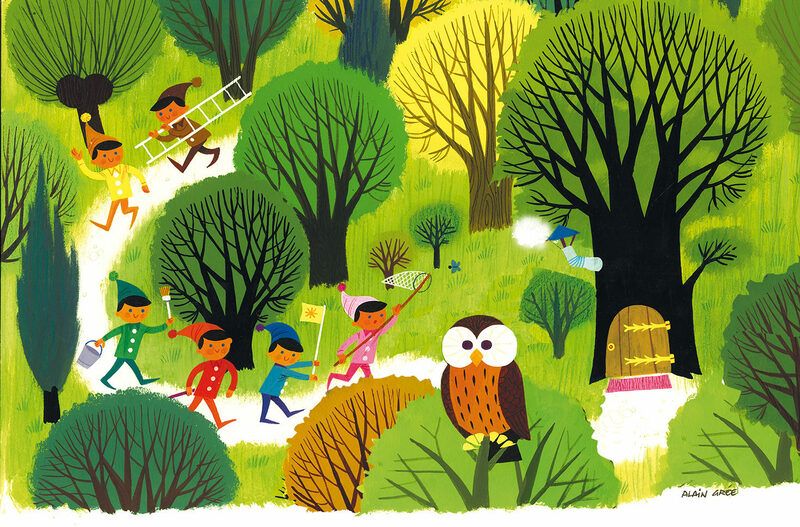 Alain Grée’s books are wonderful, as are Miroslav Sasek’s. The Iron Man by Ted Hughes and anything by Roald Dahl. Dinosaur books and bird books. What do you think is the most important thing about making things for kids? 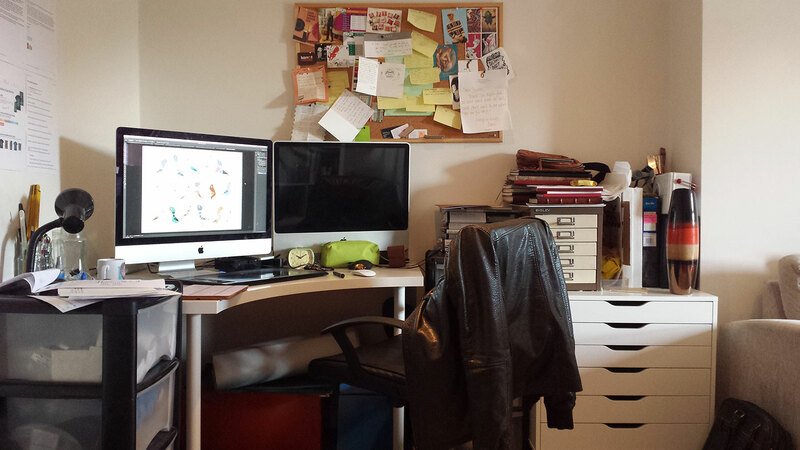 I work in my home in Crystal Palace, London. It is great in many ways, but I am quite bored with London after being here for 10 years. And so my wife and I are moving to Japan for at least half a year. After that we don’t yet know where we would go but have talked about America and Canada. Personally, I think I work better in isolation, but I do miss being around a busy place too. Do you have a work ritual? What does it look like? I get up in the morning at the same time as my wife and start work almost immediately. After an hour or two, I tend to head out for a wander, for maybe an hour. And then I come back to work pretty solidly until around 7 p.m. More often than not though, I work late into the night. I have a plan for every day, that I prepare the night before, of exactly what I need to do, which helps keep me focused. Can you talk about your next big project? I am illustrating a book for Disney based on one of their rides. Learn the basics first. Learn to draw well from life, and then feed that into your own style. With today’s technology, I think it is easier to skip the first step. The same applies to animation. Learn the basics of animation first. Pinterest usually, but I do have a large selection of books that I use pretty much daily:Cartoon Modern, which looks at the simple, graphical animation we know from the likes of UPA and Hanna-Barbera; I love the work of Charley Harper and I am often looking at his books. The Noble Approach is another good one for animation, staging, and background design. What were your inspirations for Simple Machines? 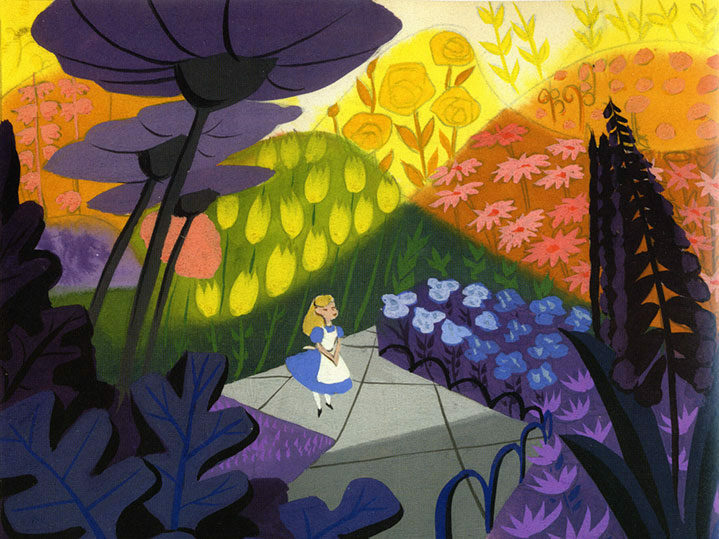 Mary Blair and 50s and 60s modern art were the main references. At the moment, I love the work of Matthew Lyons, although he has been inactive online for a few years now. His work is so unique. It almost looks like early 3D games with low polygon characters rendered in 2D. Others include Sanjay Patel, Pascal Blanchet, Ben Newman, Kevin Dart…the list goes on. I think what they all have in common is a retro aesthetic. Thank you, James! See his work on his site and in our app, Simple Machines.